prosecutions under the Designs and Patents Act 1988 or Trade Marks Act 1994 for the copying of instruments or goods and which may infringe the intellectual property or trade mark of a company. Another distinct advantage of a private prosecution is in respect of the message that it sends. A private prosecution, if successful, will leave the defendant with a criminal record. This is an enormous deterrent, especially in professions where individuals cannot have a criminal record without the risk of being unable to practice in their chosen area. If a company or individual is known as being prone to launch a private prosecution it can be an enormous deterrent for Counterfeiting or Fraud and make them less likely to be a target in the future. Legal professionals who are aware of this as a potential course of action are able to give their clients advice in respect of a ‘strong arm’ option should they wish to pursue someone who has committed wrong against them to the full extent of the law. The powers of the criminal courts are wide-ranging, especially after conviction and the Courts have exactly the same powers in sentencing after a private prosecution that they do following a state prosecution. For example the court has the power to make confiscation orders to deprive a defendant from any financial benefit gained from his offending and has the power to order that a person is banned from being a director of a company. A good working example of the effectiveness of a private prosecution could be in the case of Mrs A. She was in the process of getting divorced from her husband Mr B. In the process he had harassed her. It may be logical for Mrs A to gain a civil restraining order or a non-molestation order however this can be time consuming and costly. Alongside the divorce proceedings Mrs A launched a private prosecution for harassment. As soon as the matter was before the Court Mr B was given bail conditions preventing him from having any contact with Mrs A, there would be criminal sanctions in default. A trial would then be held and if convicted Mr B would have a criminal record and could be liable to pay compensation to Mrs A. Even better, whether the private prosecution should win or lose the court can both order a restraining order against Mr B with criminal sanctions for breach and can also award costs from central funds to Mrs A towards the cost of the private prosecution. In fact the Common Law provides any individual with the right to bring a private prosecution. This principle was established more than a hundred years ago and has been expanded upon in subsequent case law. Section 6(1) of the Prosecution of Offenders Act 1980 formalises this right in statute. The mechanism for bringing this about is outlined in part 7 of the Criminal Procedure Rules 2005. The procedure for bringing an action is also relatively straightforward, the first stage is for the prosecution to lay an information at the local Magistrates Court. The laying of the “information”, as the procedure is known involves setting out basic prescribed information, including the name of the Defendant, his address, the charge, the date of the offence and the place the offence was committed. Rule 7 of the Criminal Procedure Rules sets out the necessary procedure and provides a fairly straightforward prescribed form. As the procedure is so straightforward and easy to use it means that launching the action and the associated advantages can be brought to bear very quickly upon a defendant. It goes without saying that careful thought needs to be given and appropriate advice received before launching a private prosecution, it is not a remedy that is appropriate in all cases and potential litigants need to be aware of the burden of proof that rests upon the prosecutor and the high criminal standard of proof that needs to be fulfilled. Although there is no test for when it is appropriate to launch a private prosecution many potential cases look to the test outlined in the Code for Crown Prosecutors. That test outlies that there must be a ‘reasonable prospect of conviction’ and that the prosecution be ‘in the public interest’. Private prosecutions without merit may not receive their costs if unsuccessful and it should be pointed out that the Attorney General under s6(2) of the Prosecution of Offences Act has the power to take over and discontinue any private prosecution. This is often done in cases that are not in the public interest to prosecute or are seen as unmeritorious or vexatious. In reality this happens in very few cases. This means that specialist legal advice should be sought before launching a private prosecution. Quentin Hunt is an award winning criminal defence barrister specialising in criminal and regulatory law. 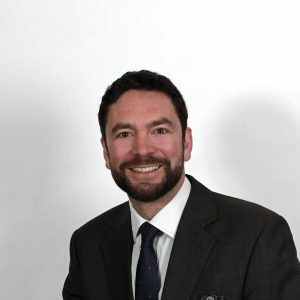 He also has more than 15 years’ experience as a top prosecutor for the Crown Prosecution Service and is an expert in private prosecution services. Email Quentin at qhunt@2bedfordrow.co.uk.